For most people, the end of August means enjoying the last weeks of summer, trying to wear those short-shorts a few more times before their tan wears off, and dreading the chunky knits and layers that arrive come November. But for those of us who love fashion, this time of year is incredibly exciting! I don’t know about you, but I cannot wait for fall fashion; I’ve already got my knee-high socks on and am digging out my favorite cardigans! But, like the rest of you, I too am working with a college student budget. As much as I would love to buy a full-length camel skirt and a real leather aviator jacket, I know I can’t afford either. Fortunately, with a few new accessories, every college student can look fresh for Fall/Winter without spending a lot. 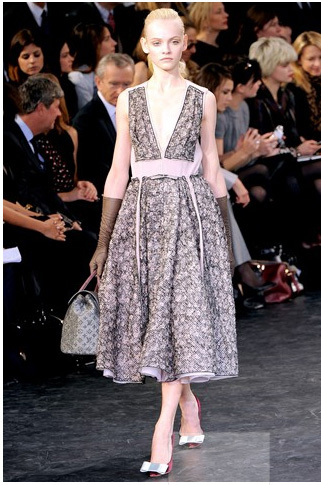 Fall/Winter 2010 fashion is very much about a classic, clean, ladylike look- it’s all very Mad Men. 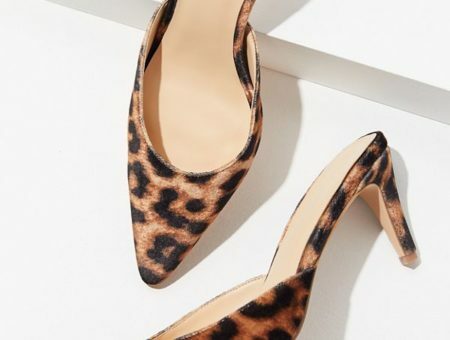 Accessories are understated and sophisticated– the embellishments of last season are left behind and this season, fashion embraces a simple but elegant practicality that reflects the return to long-lasting pieces. So while accessories are few and far between, there are a few pieces that will bring your wardrobe up-to-date for fall. Here are the top 4 must-have accessories for Fall/Winter 2010. The best part? They’re all college budget-friendly! Skinny belts have been hot for a few seasons now, and are not going anywhere for fall. I love skinny belts because they manage to eradicate that…lumpiness everyone feels in winter, and they’re a great way to accent any outfit and give it shape. 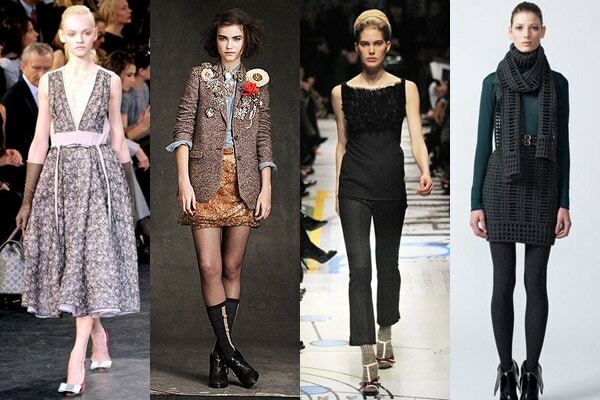 On the FW 2010 runways, sweaters and dresses were casually belted to emphasize the waist and create a curvy silhouette. The catwalks also displayed sweaters worn over high-waisted skirts, and belted at the waist for an extra feminine look. I fell in love with this skirt at first sight and knew it would be the perfect way to add a splash of excitement to a simple gray sweater, especially with a skinny red belt worn on top. Next, I matched the belt and skirt to these gorgeous little shoe boots. Finally, I added warm over-the-knee socks and red jewelry to polish off the look. This ensemble would be perfect for a winter dinner! This winter’s trendiest gloves aren’t woolly and warm. Instead, Fall 2010’s gloves are elegant and ladylike – very ’50s-chic. These new gloves are perfect for a formal event, but leather ones will take you from zero to rock chick in 30 seconds! There will be hundreds of different styles and colors in stores over the coming weeks, so feel free to experiment with patterns and textures to create a look that fits your style. I love the look of a really feminine dress with some seriously tough accessories, and that’s the aesthetic I went for above. This leather vest is perfect for adding extra warmth during fall without the heaviness of a jacket, and the lace up boots are totally on-trend. Finally, these leather gloves are the perfect piece to help you take a catwalk look and make it work for girls-night-out. Socks are another trend that just isn’t going away; they were all over the catwalks this season, in every possible style and cut. Ankle socks (worn with heels) will be hot this autumn, with knee-high and over-the-knee socks coming in towards the winter. To make this trend yours, choose thick, ribbed socks for warmth in colors like gray and mustard, or just have some fun with all the styles of ankle socks in shops right now. Patterned socks can be fun, while lace and silk socks are feminine and girly. Since socks are normally dirt cheap, why not move away from simple black and experiment? There are hundreds of options to choose from, so go crazy! This outfit was inspired by Gossip Girl’s Jenny Humphrey and her little tulle skirts that are always peeping out from under a simple LBD. I chose this tulle skirt in red to tie in with the socks and belt. This look is a great example of how to work socks into a night out outfit: Pair them with chunky platform shoes for maximum impact. As I said earlier, jewelry was kept to a minimum on the catwalk for Fall/Winter – there were pretty much no sparkly earrings or Mr-T-style gold chains to be seen. But while the clothes did the talking this season, one sparkly item did show up on the runways: the brooch. Now, at first glance, brooches may remind you of something your Grandma might wear, but trust me when I say they are more wearable than you think. A classic brooch is perfect for making a simple outfit a little more interesting- and you can also ask to borrow a few from Grandma for a truly vintage look! I know you guys loved this post on wearing a simple gray dress, so I decided a gray dress would be the perfect base for some really pretty brooches. What’s great about brooches is that they can be found fantastically cheap in a vintage shop or old jewelry shop – they’re incredibly budget-friendly! Those of you with a keen eye will notice I also incorporated quite a few other Fall trends into this outfit – I can’t get enough of knee-high socks and skinny belts. 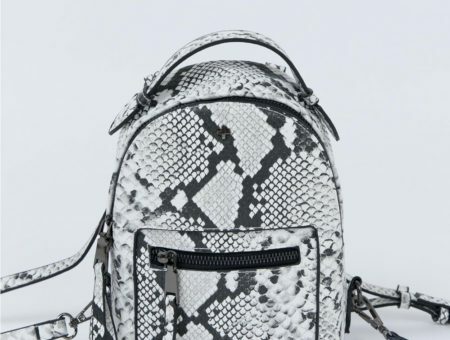 Which accessories are you looking forward to wearing this fall/winter? Do you like the understated look we saw on the catwalks? Are you going to embrace classic femininity this season? What are your go-to fall/winter accessories? Drop a comment and let us know!! Previous Would You Wear… a Cape?